NEOGOV is the leader in human resources software for the public sector. Make HR, payroll, and talent management easier with our complete HR software suite. 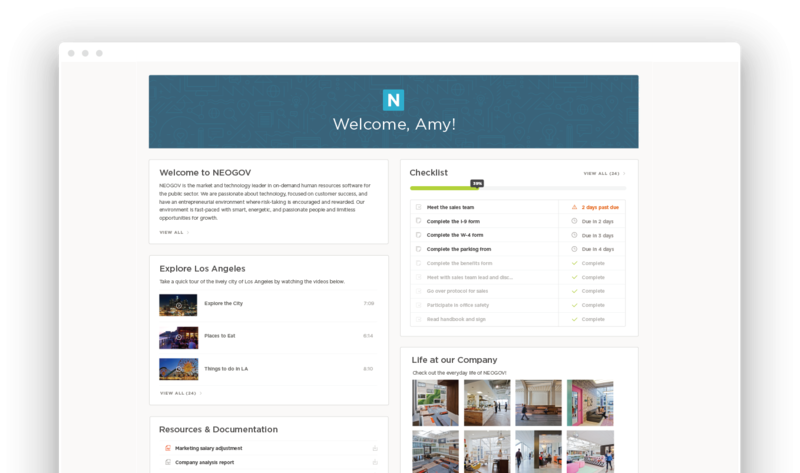 NEOGOV’s applicant tracking system makes recruiting and hiring easy. 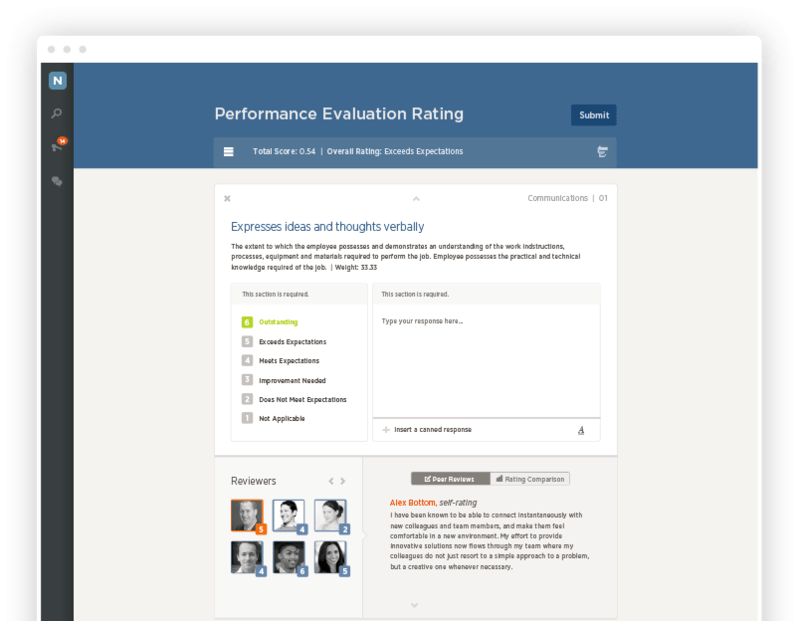 Reduce your cost per hire, fill positions quickly, and improve hiring. 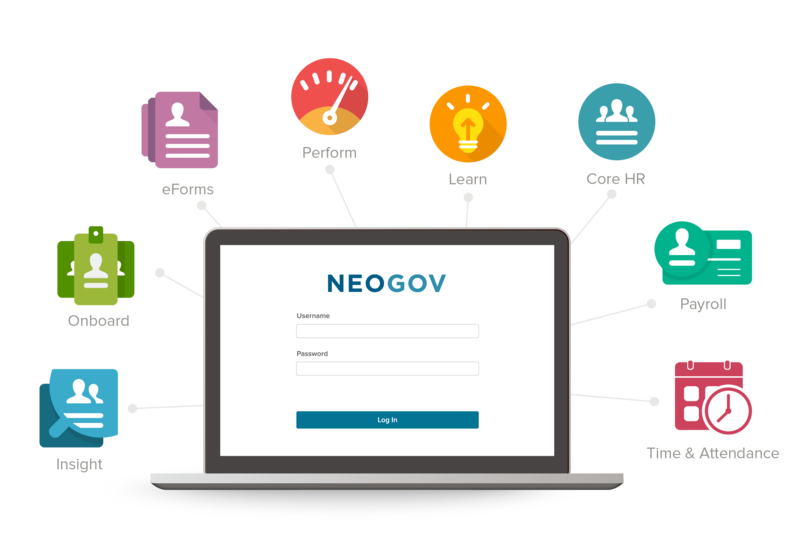 NEOGOV’s eForms helps you create online employee forms and automate distribution, submission, tracking, and approval using workflows and eSignatures. Our performance management system establishes a sense of purpose for employees by identifying and promoting their strengths. 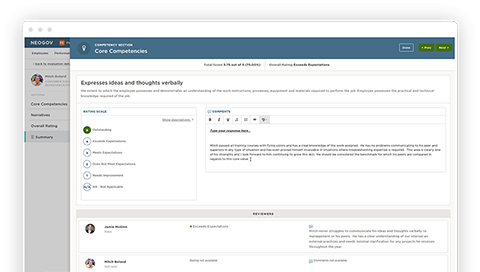 Our learning management system makes training easy. Increase employee productivity and create a culture of learning. Track the information you need to comply with government requirements. Save time with self service. Payroll for all employees. Any type of pay frequencies. Unlimited pay rules. Compliance down to the local level. Easily track time with self service. Automate internal business procedures and trigger actions through workflows. Most customers and deepest industry experience. Affordable, low risk, and high ROI.